The folks at Sony continue to expand the PlayStation Now service by announcing that 10 new titles and two upgraded titles have joined the lineup for September. The big names here are Project Cars and Bloodbourne, but the other games should not be overlooked. In addition, the subscription service is still on sale with the summer price promotion for a few more weeks, with those wanting to purchase able to do so at the discounted rate of $9.99 per month or $99.99 for a year for new subscribers. 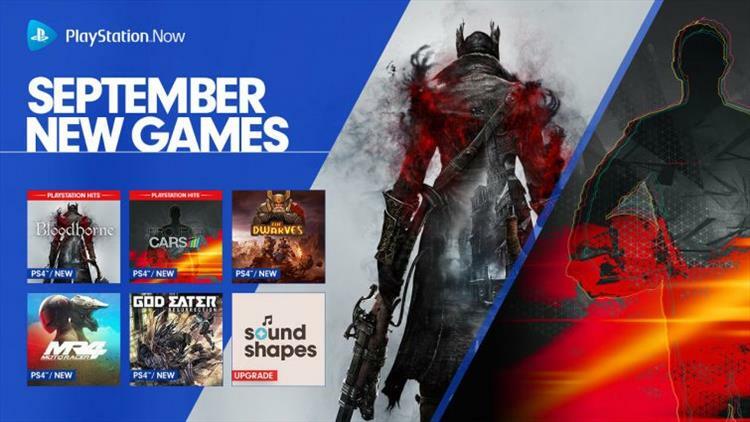 If you are a PlayStation+ member, and looking to try Now for the first time, you also have the option to purchase a 3-month pass for $29.99 ($44.99 regular price), but will need to do so directly through PlayStation, as it starts as a seven-day trial and moves into the paid subscription.